MBT: The Shoe you definitely have to get this Fall! The Shoe you definitely have to get this Fall! As Summer is slowly coming to an end we all have to start to embrace the fact that soon our wardrobe will again consist of thick jackets and wool sweaters only, instead of light weight blouses and shorts... but before falling into a winter blues let's think about all those new and amazing styles and trends approaching us this pre-fall! One of them is probably already part of your wardrobe: The Ankle Boot. Even if it's actually a classic this shoe is totally going to be on Top of everyones Fall-Wear list, but as a trained shopaholic and fashionista you might know that it's not that easy to find the perfect mix between classic and trend, that will last you more than just one season... this fall several brands have created different types of Ankle Boots with a certain twist, such as velvet Ankle Boots (by wearing these you even cover two trends for this season! 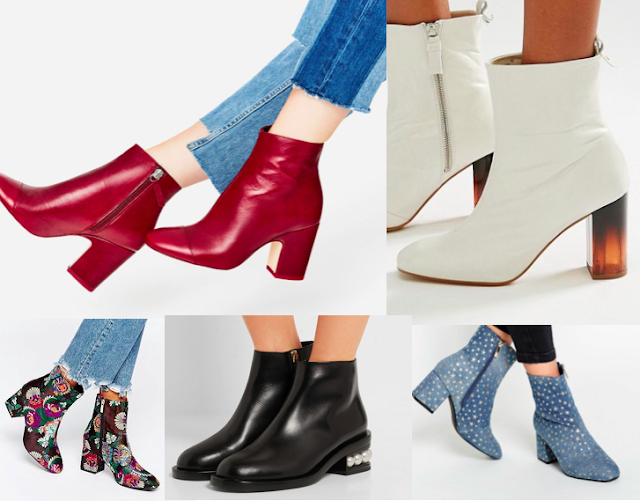 ), embroided Ankle Boots, red Ankle Boots for a superwoman effect, classic black ones, simple Ankle Boots with a decorated heel or Ankle Boots with an unexpected twist.... there are many to choose from and what I love about Ankle Boots is that the heel is high enough to give you that elegant stretch that heels normally do but not high enough to cause your feet any pain. ©MBT . Powered by Blogger.